It was a productive weekend: having been able to devote time to do some volunteer work with a friend. 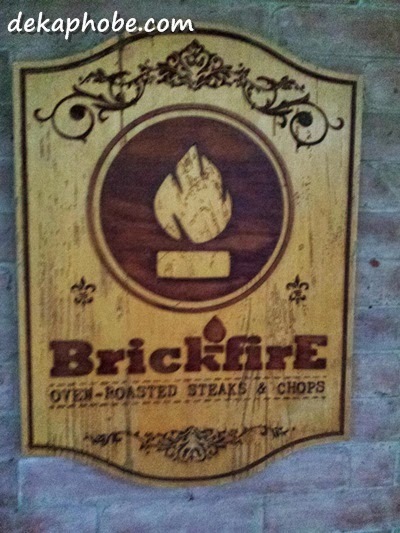 After a few hours of work, we decided to reward ourselves with dinner at Brickfire. We got there before dinner, and it just starting to get packed. Damn, I was so excited to get my hands on a steak. 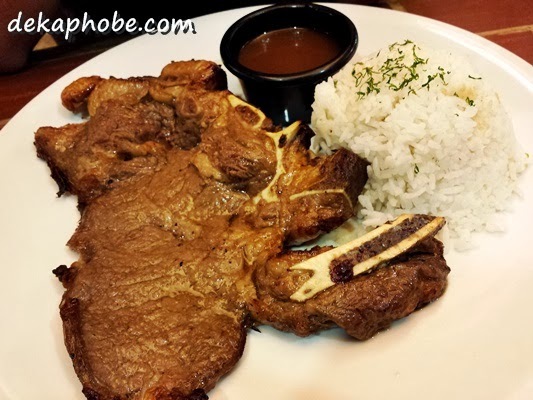 I ordered Duke (Php 275) while my friend had Cowgirl Annie (Php 250 for 350 grams). 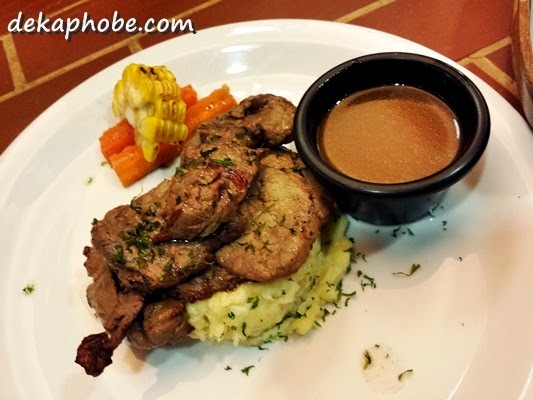 Duke is tenderloin seasoned with salt and pepper and served with mixed veggies and mashed potato. The presentation of the dish was quite impressive. The taste didn't disappoint as well. Given that it was oven roasted, I was expecting a not-so-flavorful and dry meat. On the contrary, the meat was tender, and moist, with the flavor still intact. It wasn't a surprise that I finished my plate quickly. 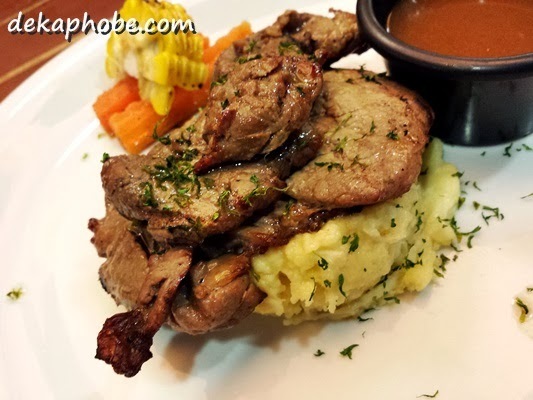 Aside from steaks, Brickfire also serves pasta, rice meals and other amazing starters. 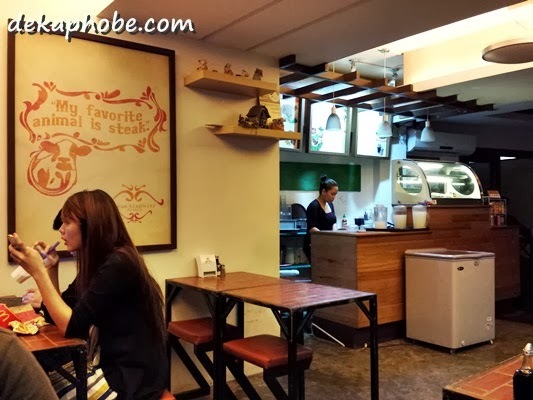 It is notable on how Brickfire dishes out quality steaks at reasonable prices. Now I know where to go again should I crave for steaks. I was impressed with the friendliness of the crew as well.